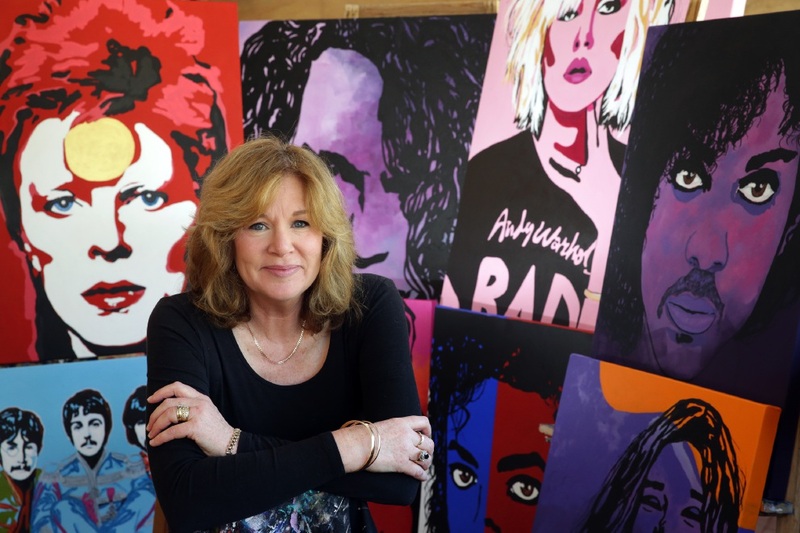 DAVID Bowie, Janis Joplin and The Beatles are some of the musicians featured in Mullaloo artist Corinne Gull’s first solo exhibition. Gull said she had always enjoyed painting portraits and was more recently drawn to depict famous performers. “Music is so important to you when you’re younger,” she said. Despite not wanting to commit to a signature artistic style, Gull said her penchant for pop art portraits had revealed itself over the past several years. “I love people, I love capturing the moment (and) I love solid colour backgrounds,” she said. She also teaches art to children and adults as owner of West Coast School of Art and through the City of Joondalup. “Seeing people develop and progress is pretty exciting,” she said. Gull said she was already planning future exhibitions of TV characters and movie stars. The exhibition will run from May 24 to June 3 at Joondalup Art Gallery, open 10am to 2pm Tuesdays to Fridays.